Home to one of the Seven Wonders of the Ancient World, a monument to undying love, the celebrated Taj Mahal is India’s most famous landmark. Known as ‘the crown of palaces’ it was commissioned in 1632 by the notorious Mughal emperor Shah Jahan as a mausoleum for his favourite wife. A grandiose structure it attracts thousands of visitors every day and Agra is therefore rife with touts. However it is not to be missed and our pick of the best places to stay in Agra provide a tranquil stay away from the clamour of hectic city centre. A mandatory stop on any itinerary to India it can seem like there is little else to do in Agra other than a visit to the Taj and as a result of this most visitors only spend the night. In all honesty, there is little else to do but a stop at Fatehpur Sikri, the former capital of the Mughal Empire, is absolutely worth a visit. Go during the daily nazams (prayers) for a truly immersive experience. 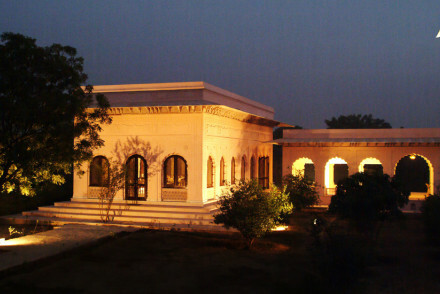 Our pick of the best places to stay in Agra are luxurious and provide top class facilities. With a renowned name such as the Taj providing rooms for under £60 a night you know you are onto a winner. Top class facilities including a huge pool and large rooms a night here is an excellent option. The place to stay when in Agra! 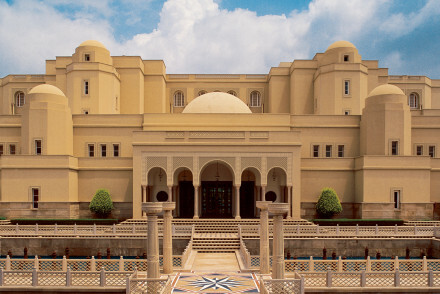 Every room at Oberoi Amarvilas boasts the most spectacular, unspoiled views of the Taj that money can buy. 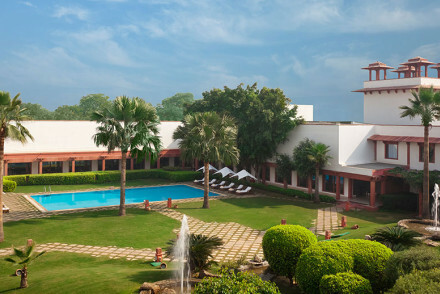 An excellent spa, pools, fine dining – a stay so fabulous it’ll have you stuck in Agra. Modern, clean lines and serene gardens in which to relax The Trident Agra provides a luxurious, contemporary stay at an excellent price. Great for some respite from the hectic town centre. Still not sure which to book? From contemporary to opulent browse through our list of the best places to stay in Agra to start to plan your trip. Or contact one of our friendly gurus for advice. Glorious views of the Taj Mahal from this top-quality hotel offering an astonishing range of activities and facilities including spa, swimming pool, beauty parlour, outdoor dining, rooftop cafe and spectacular private suites. Bedrooms are comfy, chic and pristine with carefully selected furnishings. An 18th century heritage hotel boasting acres of grounds, an outdoor pool, massage and excellent proximity to the Taj Mahal. Rooms are large with modern bathrooms, antique furnishings and ornate fabrics. Gulmohar restaurant serves tasty, regional vegetarian cuisine. A great stay. Serene, contemporary hotel with tasteful touches of Indian design. 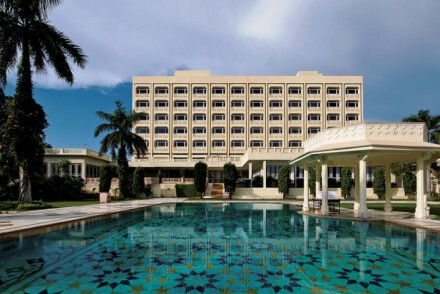 A tranquil haven in bustling, historic Agra which invites guests to enjoy the outdoor pool, fitness centre, and spa. Family-friendly kids club. Delicious European and Indian fare in the restaurant. Kids Club - Kids can play in their own tent! Cooking and pottery for the older ones. Spellbinding luxury hotel with stunning views of the Taj Mahal. Sublime spa, outdoor pool, fitness and wellbeing centre. Majestic marble hallways and open courtyard. Furnished to impeccable standard with traditional Indian accents. Dine in one of two marvellous onsite restaurants. Views - Views of the Taj Mahal from every room.